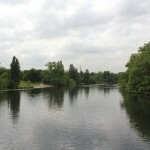 Every year millions of people visit Kensington Gardens, one of the capital’s eight Royal Parks. The gardens have many attractions including Memorials, Statues, Playgrounds and an Art Gallery. 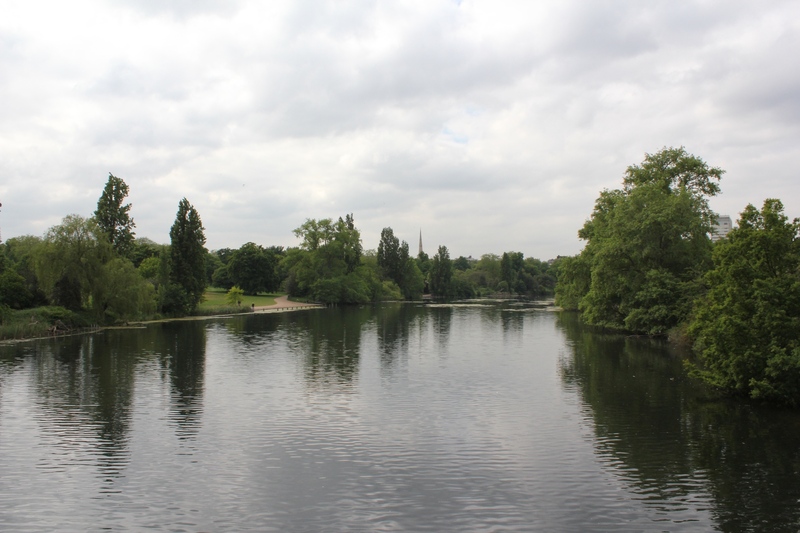 A popular destination for tourists, schools and local residents entry to the park is free. 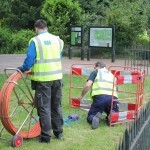 A new building has just been built in the park, Project Skills Solutions were asked to install a fibre optic link between an existing building and the new building. 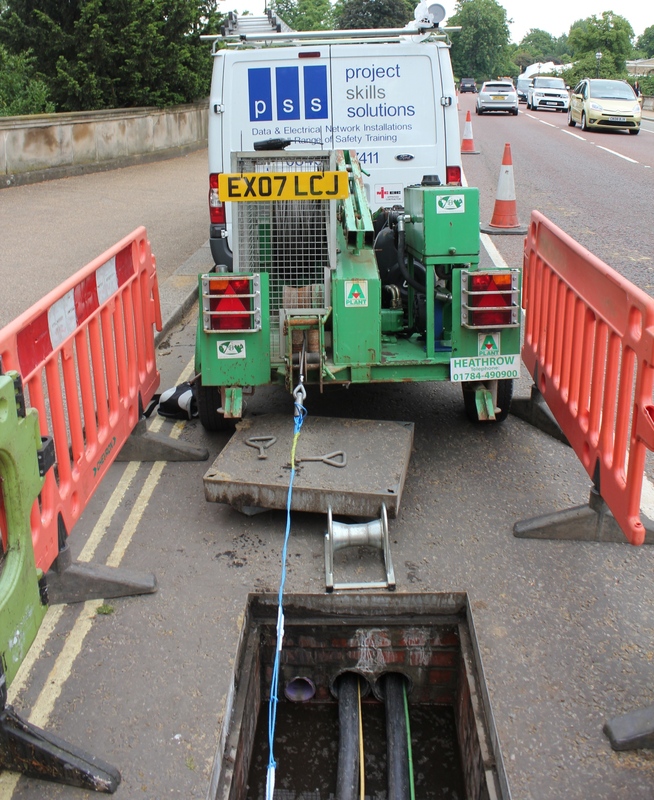 Project Skills Solutions utilised existing ducting in the park to reduce costs for the client, fibre optic cable was installed inside the existing building from the comms room to the edge of the building, then out into the ducting. 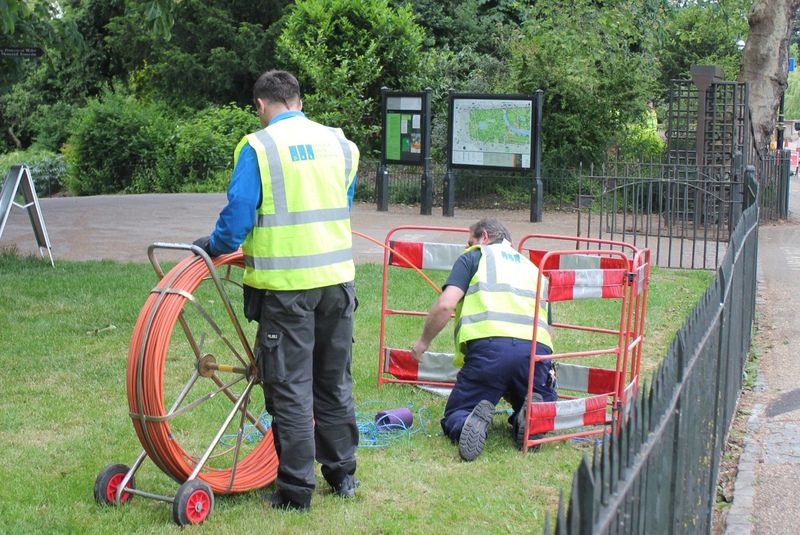 Once the cable had been installed across the park to connect the two buildings (over 200m apart), our engineers used an existing containment route which travels along the ground floor and down into the basement comms room. Our engineers then installed racks at each end, 2 patch panels loaded with 12 duplex LC adapters and will fusion splice on 24 pigtails at each end, then the cable was tested with an OTDR at wavelengths of 1310nm/1550nm. 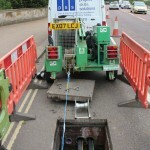 The project was a success, the fibre optic link has been installed and both buildings are now connected. We used loose tube CST (corrugated steel tape) fibre, this helps to prevent damage to fibre cables from rodents.